Mainstream medical coverage is declining and the health care system is confusing. ASA is Here to Help! In a nutshell: freshbenies takes the headache out of healthcare (and more)… all in one easy-to-use card! This program helps save hundreds to thousands on healthcare costs for just $12/month (plus, a one-time $10 application fee). This isn’t insurance and doesn’t replace insurance, but it’s great for those with or without insurance. call a doctor 24/7 and get a prescription written, if medically necessary. This can save doctor, urgent care and emergency room visits. email specialists for personalized and reliable medical advice. No more searching WebMD and Google for answers. save 10% to 85% (average 46%) on prescriptions. This gives another option to your health plan. You can also choose optional low-cost add-ons: LifeLock identity theft protection, plus high-quality legal, pet care, dental and vision savings networks. *We’re sorry to say the freshbenies card is not available for individual sale to VT & WA residents. Other state restrictions may apply. 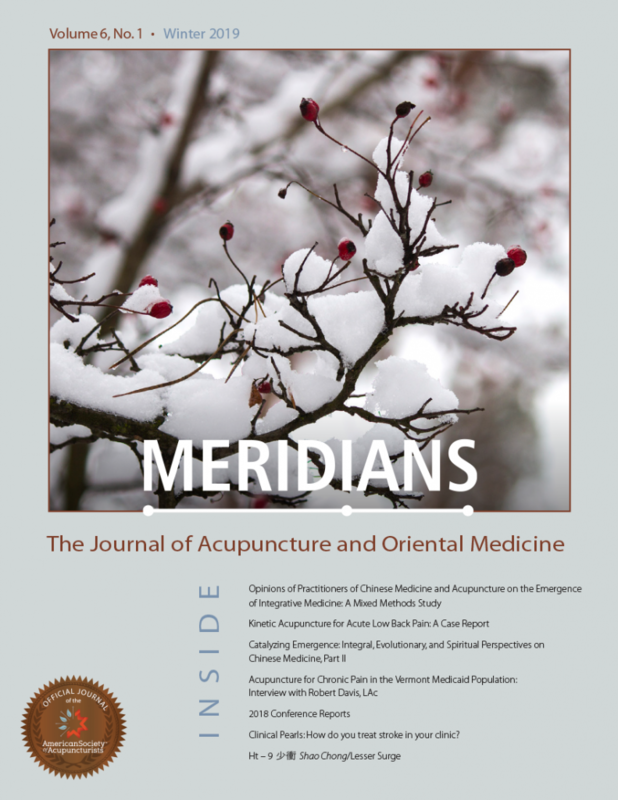 Winter 2019 issue of Meridians: JAOM now available! Copyright © 2016. American Society of Acupuncturists.